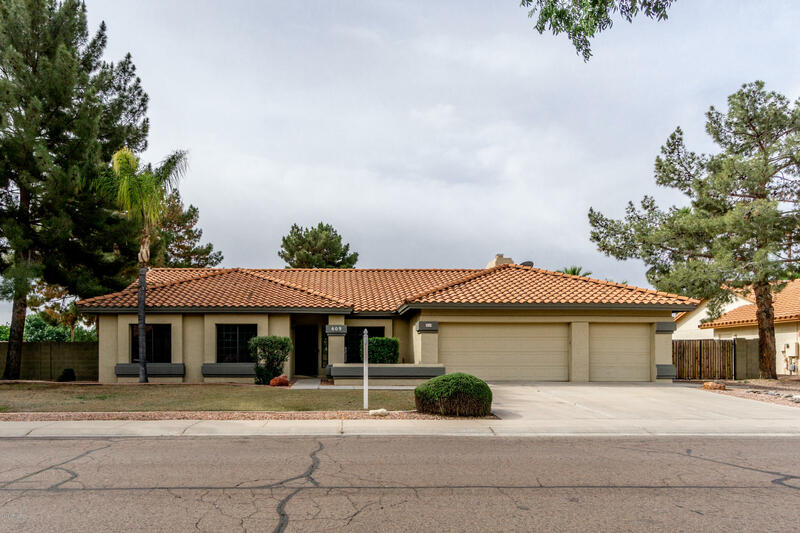 Located in Gilbert, this gorgeous 4 bed, 2 bath property on 1/4 of an acre exterior boasts desert and grassy landscaping, 3 car garage, and RV gate. Inside you'll a beautiful dining and living area with a cozy fireplace, and an elegant kitchen featuring ample cabinet and counter space. The gorgeous master bedroom is perfect for budding couples, with its private exit, full bath which includes double sinks, separate tub and shower, and a spacious closet with sliding mirror doors. The expansive backyard offers a covered patio, paved area with basketball hoop, and a refreshing diving pool!